* NOTE: This is the Carry Can only. Lifters are sold separately. Instantly convert a commercial frontloader into a residential truck. Diversify your existing fleet usage, maximize your route options. Perfect for use as a backup to your residential fleet. Low height makes hand loading easy. Easily disconnect the Carry-Can on the route to pick-up a commercial stop. Fits most brands of popular front load trucks. Choose from a variety of optional Perkins Cart Lifters to match your route. 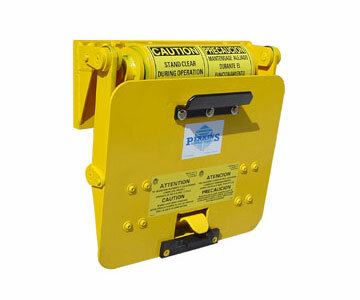 Additional carry can styles can mount lifters to side, front, or corner of can. Versatile design is perfect for Frontloading Carry CanÕs, Sideloaders, or stationary dock-side dumpers. 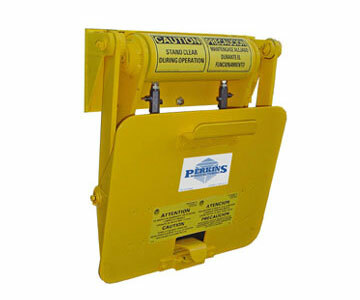 Powerful 26k rotary actuator for smooth and dependable lifting action. 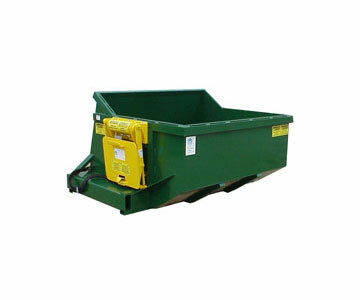 Deep dumping action reduces spillage, helps to distribute the trash evenly into hopper.